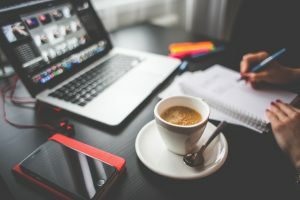 Thinking of starting a blog? Here is a blog checklist to make sure you get started on the right foot! As opposed to the left foot because we don’t want you to fall! Joking aside, when you decide to start a blog, you will not push that launch button and make your site, “Live”, until you have it set up and you have some great content to share. Going “Live” simply means you hit the launch button and the world can see your site! 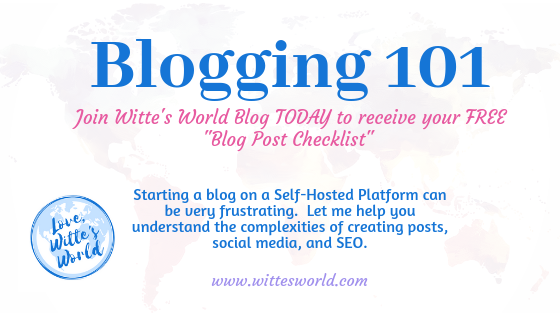 Use this blog checklist to make sure you are ready for the world to view your blog. Make sure you are on the correct platform! Read this lesson for more information. Determine your “Niche.” To decide this, ask yourself, what do I want my audience to learn from your blog? 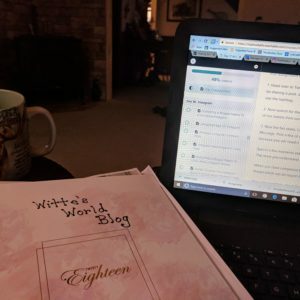 Crafting, Traveling, Parenting, Cooking? Find and signup for a Self-Hosted Platform. They will charge a monthly fee and usually, you pay annually. Some popular ones that I am an affiliate and run from $3.95 to $5.00 a month are Bluehost and Siteground. There are many more choices out there, do your research. Now you get to choose your very own domain name. This is your URL and you will also get up to 5 free e-mails with the @yourdomain. Pick a name that fits your niche. You can check as many domain names as you like until you find the perfect match. You might also want to see if the domain name is available on all social media too. Once you have chosen your domain it is time to get download WordPress.org. Remember, your self-hosting platform is your c-panel and will be where you will find your DSN, SSL Certificates, URL, all the basics of where your site is on the world wide web. WordPress will be where you manage what your site looks like, your plugins, comments, and anything relating to your pages and posts. Now, pick a theme. The theme will determine the layout of your blog. There are tons of free themes, or you can purchase a theme. Don’t worry, if you don’t like them you chose they are easy to change at any time! When picking a theme you need to think about what you want your site to look like…header, menus, posts. Start setting up your website. You can add your own title, tagline, header, homepage, create your menus, categories. You will want to find your “branding”. Choose your preferred colors, logo, header, tagline, fonts. This will identify you to your audience. Add social media share buttons to your posts as well as for you personally. You will want people to share your content and also follow you. When starting social media set up business accounts to be able to monetize. If available, chose the same handle as your domain name. Chose an e-mail service and get started with subscribers from day one! 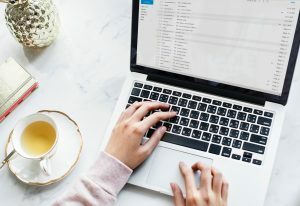 You may not be ready to send newsletters, but building a following on your blog is important! A few of the most common service is MailChimp and Constant Contact. Read more about email in this post. Have about 5 to 10 posts that show your personality. This is called your voice and tone. Do you want to be funny, serious, friendly, bossy, down to earth, sarcastic, to the point? Make sure you are set up with SEO using a good plugin like All in One SEO or Yoast SEO. This is for search engines to find you and people will find your content. Learn as much as you can about SEO! This is a GREAT book to order if you want to learn anything about blogging Blogging for Dummies – 8 books in one. When you are READY…LAUNCH your site and go LIVE! When you have launched let me know! 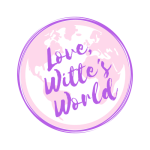 I would love to be the first subscriber on your blog!!! Be sure to join my Facebook Group @fortheloveofblogging to get useful tips and tools every day! Thanks for Supporting out Blog! Wonderful post. I am fresh blogger and this post really useful to me. So glad it was useful! Hopefully, I will be writing many useful posts in the new year! Great checklist, i’m new at blogging, about 3 months in. I wish i had something like this when i started! Thanks! 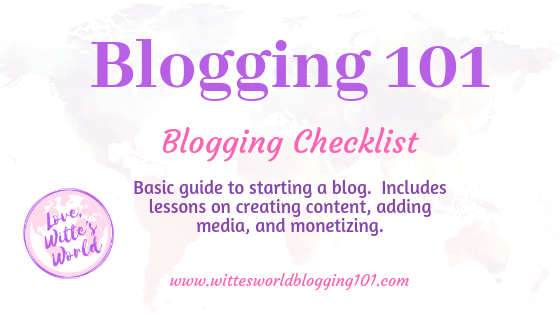 Feel free to share it to your friends that may start blogging. Teach me your ways! I love this post. Thank you! Thank you for sharing, I wish I came across this post before I started my blogging journey with blogger. 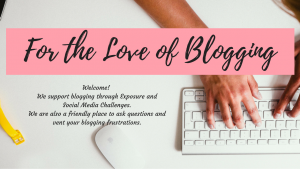 Thank you for this list, I wish I came across it before I began my blogging journey on Blogger. Lots of great info! Thanks! !